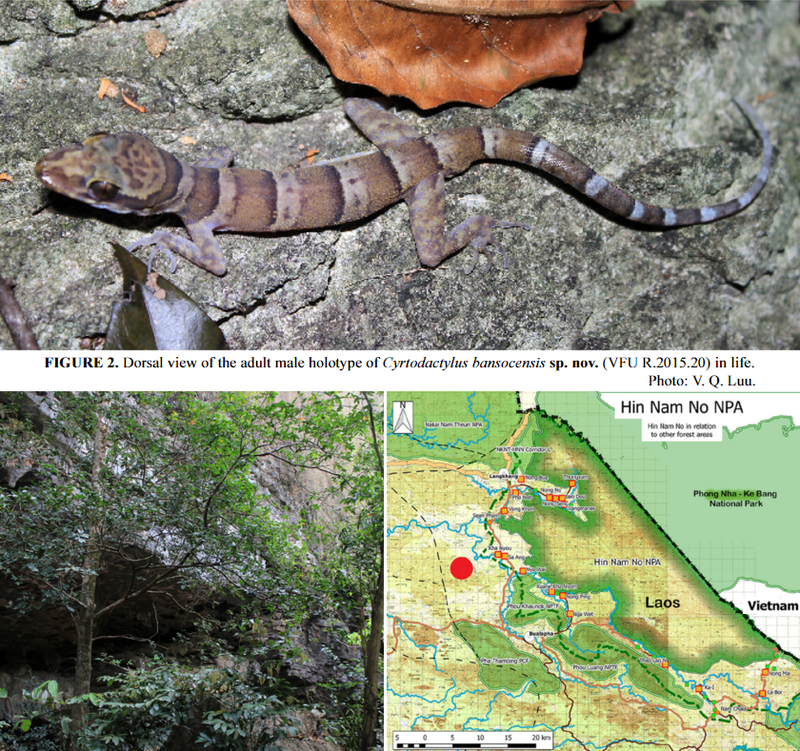 We describe a new species of the genus Cyrtodactylus from Khammouane Province, central Laos based on morphological features and molecular data. 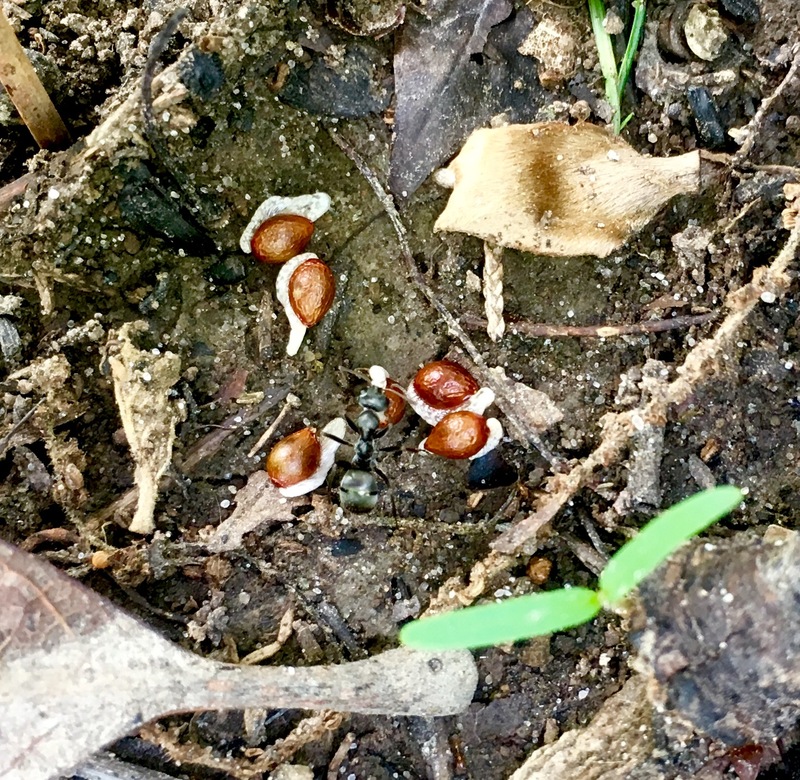 Morphologically, Cyrtodactylus bansocensis sp. 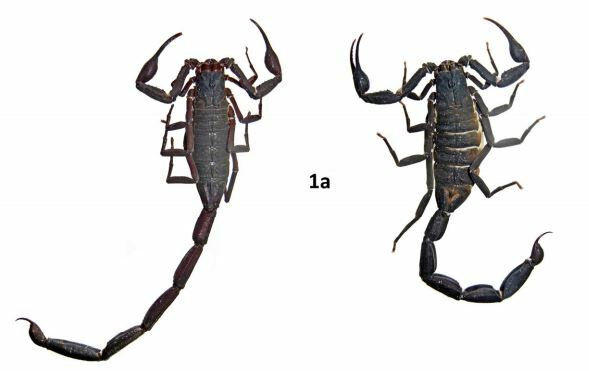 nov. is differentiated from other congeners by a unique combination of the following characters: medium size, SVL reaching 74.0 mm; dorsal pattern consisting of four light transverse bands between limb insertions; supranasals in contact with each other; dorsal tubercles at midbody in 14–15 irregular rows; lateral folds present without interspersed tubercles; ventral scales between ventrolateral folds 34–35; precloacal and femoral pores in males 34, separated by four poreless scales in the male holotype and in a continuous row in the male paratype; enlarged femoral and precloacal scales present; postcloacal tubercles 5–7 on each side; dorsal tubercles present at tail base; and subcaudal scales transversely enlarged. 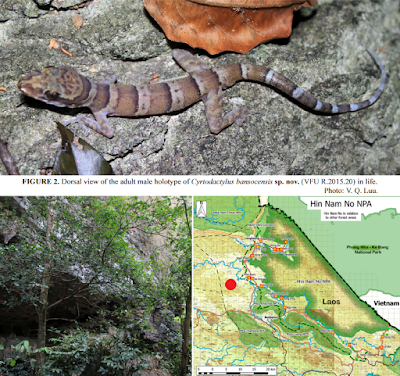 Molecular analyses revealed the new species to be closely related to Cyrtodactylus rufford, which is also found in Khammouane Province.